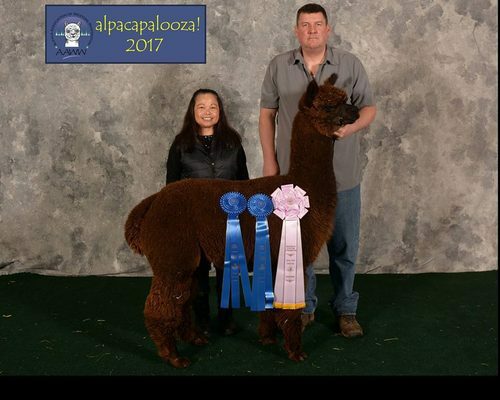 We are excited to announce the addition of what we consider the best Accoyo Titan son who holds incredible EPD numbers and is a producer of Champion offspring in the show ring, PC RUNNING LATE! He's here! and more beautiful than I could have hoped. Running Late is very impressive looking like a two year old macho with loads of presence, perfect conformation and bite, full topknot. If you want a male that can make a champion in any color then look no further...Candy Man "can!" 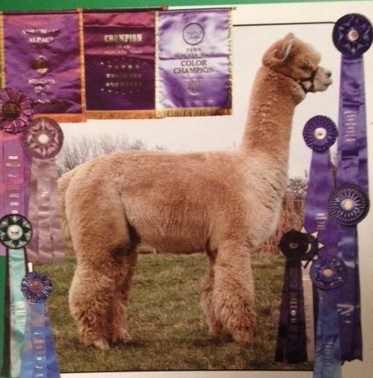 Candy Man's offspring are winning championships in halter and fleece. He passes on his amazing uniformity and brightness, as well as a high frequency, high amplitude crimp to his offspring consistently. 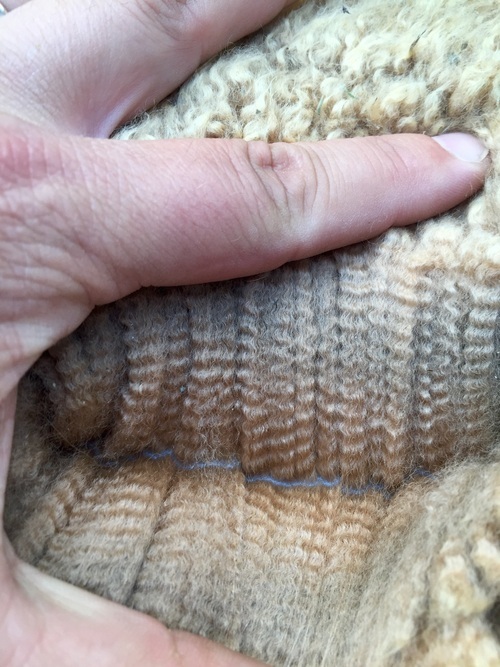 The density levels are ridiculous considering the low micron fleeces he is making and possesses himself. Honestly, any girl can be bred to Candy Man and it will be amazing regardless of color. 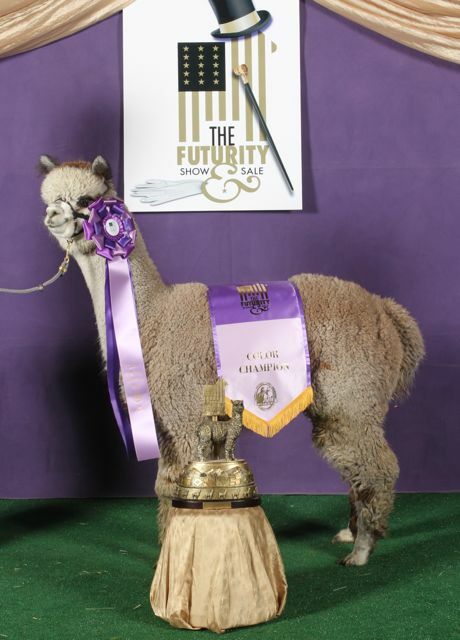 I should mention that he is the sire of the 2014 Grey Male Futurity Champion, KVR's Peruvian True Eye Candy (aka Ike), now owned by Delphi Alpacas. Breed your best and watch Candy Man stand up to the test, or breed your girls that need some fixing and watch Candy Man give you what you are wishing. 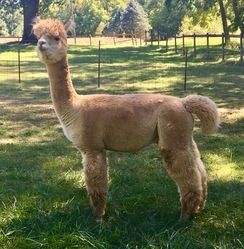 Candy Man is now standing stud at Houchin Family Alpacas. Contact us about limited special on fall breedings!